Custom printed doubleclip lanyards are really popular as conference lanyards and with events organisers where a larger ID or pass is used. The two clips ensure that the wearer's pass or ID always faces to the front, making these perfect conference lanyards. 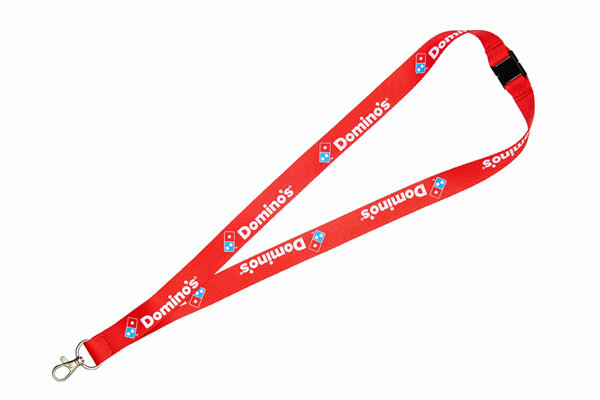 We can add clips to full colour lanyards or woven lanyards, the pricing shown here is for screen printed lanyards but any lanyard can be transformed into a doubleclip lanyard. Double clip screen printing lanyards give the option of printing in up to four colours on one or both sides. Subject to minimum order quantites we can PANTONE® match the lanyard fabric colour. We can also offer double clip options for other lanyard types (full colour etc) if required. Pricing shown is for a single side, single colour printed lanyard on 1 centimetre bootlace, 1.5 or 2 centimeter flat ribbed polyester with two metal trigger clips and single safety break.